Posted on 08/19/2016 What are the Common Symptoms of a Concussion? Traumatic Brain Injuries Can Be Mild, Moderate or Severe The classification of brain injuries being mild, moderate and severe can be very misleading to people. Find out what these labels actually mean. Medical professionals often categorize brain injuries based on loss of consciousness. Generally speaking, the longer someone was unconscious after an injury to the head, the higher the grade that injury will receive. But, you do not have to lose consciousness to have suffered a concussion or other brain injury. The vast majority of concussions do not involve a loss of consciousness. After an accident, most people think being confused or dazed is normal. In some respects it is. But, being confused, dazed, and unaware of your surroundings after an accident can also be indicators you have suffered a head injury. A Traumatic Brain Injury or TBI may be caused by an impact to the head which causes the brain to violently shift within the skull or a force that causes the skull to break, directly impacting the brain. The impact can be from an external object or from sudden acceleration and deceleration of the head (whiplash). You can have a TBI without ever hitting your head. This impact to the brain can result in an impairment of mental and physical capabilities. TBI’s can be classified as mild, moderate or severe, with concussions falling under mild TBI. It is important to note that the terms mild, moderate, and severe do not describe the severity of your brain injury. Every brain injury is serious. The terms mild, moderate, and severe only refer to the change in consciousness. In other words, a severe TBI has a more severe loss of consciousness than a mild TBI. Suggestions your brain injury is only “mild” can be very misleading. A concussion is a type of brain injury that results when the brain rapidly moves within the skull, shearing the neural tissue which causes metabolic and mechanical changes in the brain. Concussions are graded based on loss of memory and consciousness. 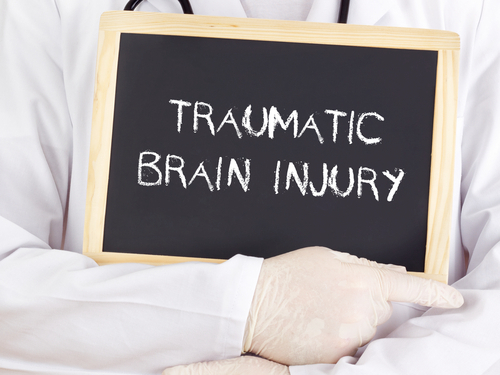 A Mild TBI is the most common type of brain injury. It is the result of a forceful motion to the head or an impact to the head that causes a change in mental status or consciousness for less than 30 minutes. Another name for a mild TBI is a concussion. If you have ever heard people talk about concussions you will usually hear them refer to concussions based off their grades. While it may sound confusing, it is easy to understand if you think of concussion grades as occurring along a spectrum. Concussions are graded based on their level of severity. The grading scale of a concussion has to do with how extensive a person’s change in consciousness was. A grade 1 concussion involves a person remaining conscious but confused. If you experience a grade 1 concussion you might find that it is hard to think straight, concentrate, and you might feel dazed for up to 15 minutes after the accident. A grade 2 concussion involves amnesia. You will still have remained conscious after your concussion but you will be unable to remember exactly what happened. A grade 3 concussion involves a loss of consciousness for several minutes and there will be noticeable brain dysfunction. A Moderate TBI involves the same set of circumstances as a Mild TBI but the symptoms and affects are more widespread and last longer. A Moderate TBI usually causes loss of consciousness for longer than 30 minutes but less than 24 hours. A Severe TBI causes loss of consciousness for longer than 24 hours and can cause post-traumatic amnesia for longer than a week after the accident.